Whether you’ve heard that whiplash claims are being stopped, or are unsure about whether you may have a claim, our whiplash guide can help make sense of what can be a painful injury, and give you information on what you can do about it. Have Whiplash Claims Been Stopped? 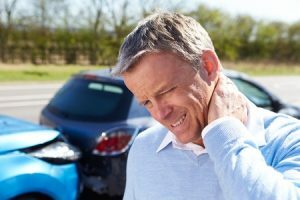 Can I Claim Whiplash Compensation as a Passenger in a Car Accident? What is Included in Whiplash Injury Claims Payout? How is Whiplash Compensation Calculated? Why Choose Accident Claims as Your Claims Service for Your Whiplash Claim? Whiplash is a neck strain. It is associated with car accidents, but it can result from other kinds of accidents in which the victim suffers a significant impact. Whiplash results when the head jerks forward or backwards quickly and without warning, causing the neck to strain. It affects the muscles and tendons, sometimes causing them to tear as they stretch. People who have suffered a ‘light’ whiplash injury say the pain is immense. For people who have suffered a severe neck strain, as well as pain, they can suffer from pins and needles, and numbness in the neck and shoulders. Either way, it is an unpleasant injury and one that many people will look to claim compensation for after being involved in an accident that was not their fault. Is this you? If so, you need our comprehensive guide to whiplash claims. It tells you everything you need to know from how to make a claim to whiplash claims average pay out. It also tells you how Accident Claims can help to manage your claim, supporting you on the journey to claiming the compensation to which you are entitled. A neck strain – whiplash – is where there has been damage caused to the muscles or tendons in the neck. Tendons are bands of tissue that connect the muscles to the bones. A neck sprain is a torn ligament. A ligament is the tissue that connects the bones together. However, both are painful and the treatment of a neck strain or sprain are very similar. In the case of claiming for whiplash, both ‘types’ of injury can be compensated for if the accident in which you were hurt was not your fault. Some people report symptoms immediately after the accident but for other people, these symptoms come on over several hours. There are also cases of symptoms peaking a few days after the accident. Whiplash can be the sole injury as a result of an impact on the head and neck, but it can also be one of many. Car accident victims can also suffer a concussion, which should always be taken seriously. Diagnosing whiplash, its severity and impact on the victim are done through with a thorough medical examination. Your doctor may also refer you for an x-ray and/or CT scan to check for injury in the head, neck and shoulders. It can several days, sometimes weeks, to feel fully recovered from whiplash. For some people, it is an injury that hangs around for some time and whilst this may be a nuisance, whiplash is thankfully rarely life-threatening. Don’t forget, whiplash is not just caused by road traffic collisions and neither is it the only injury that can result from an accident. But, if you are involved in an accident, and you are hurt, collecting basic information and evidence from the scene can be helpful should you decide to go ahead with a personal injury compensation claim. Take photos – if you can, take photos of the scene as these may prove useful at a later date. Write down what happened – we think that we will remember everything about what happened and yet when we are asked about a certain detail, we find that we cannot accurately recall the answer. As soon as you can after the accident, write down what happened. Drawing a ‘map’ of what happened can help too. This is important for all accidents and incidents. Collect witness contact details – if people witnessed your accident, ask them for their contact details. With road traffic collisions, if the police are involved, this information may be collected as part of their investigations. But either way, their statements will prove invaluable in your pursuit of a whiplash compensation claim. There was a lot of discussion and debate about whiplash claims in 2017, especially claims seen as fraudulent and inflated claims. The discussion about whiplash claims focused on the fact that UK roads are becoming safer, as well as the safety levels of vehicles and yet, claims for whiplash are increasing. The Prisons and Courts Bills looks at reducing the number of fraudulent whiplash claims, with the premise that people want a compensation system that works for people with genuine claims, and not a system of inflated, exaggerated claims that mean big profits for some firms but big insurance premiums for us. As a result, there is a whiplash claims law change on the way, but it will protect those with genuine claims. In a nutshell, whiplash claims haven’t been stopped but there is rigorous assessment being applied to all whiplash claims payout. But if you have a true claim, you will have no need to worry. A whiplash claims procedure is a process similar to all other compensation claims. But with Accident Claims, you can be assured of the best service, with you, the client, firmly at the centre of the process. Assessment – this is not an onerous step but simply a robust assessment of your claim. We look at what happened and the injury or injuries you received, and apply the law as it stands to your claim. This is a free consultancy session, with no obligation to continue. Whiplash compensation calculator – We talk you through the claims procedure, as well as using the whiplash claims calculator to determine how much compensation you could be entitled to. At this early stage, this would be an estimate with your legal team providing the definitive figure at the closing stages of your case. Liability – as part of our service, we determine who is responsible for your accident. For example, you may have suffered whiplash after a serious fall at work, and a claim would be made against your employer. If there has been a breach of duty of care, this means that you are entitled to compensation for your injuries. The full picture – before you decide to go ahead with a whiplash claim, we make sure that you all the information you need, including the detail behind our no win, no fee service. Whiplash results where the head moves forwards and/or backwards very quickly. This jerking motion can result as a result of a fall or a similar accident in which there has been an impact on the body. Slips and trips at work is the largest category of accidents that result in injuries to employees, with whiplash being one of them. It is often an injury that goes hand in hand with other injuries, such as concussion, especially when an employee falls, banging their head in the process. If you feel that your workplace accident that resulted in whiplash could have been prevented, you may have a claim for compensation. Whiplash claims amount vary depending on the severity of your injury, but your legal team will be able to help. Bus accidents are a rarity in the UK, brought about by safer roads, bus lanes, improved bus safety as well as measures that combat driver fatigue. But accidents do happen, such as the crashing of a London double-decker bus into a shop on a busy London street in the summer of 2017. 10 people were injured in the crash in Clapham, which may have been as a result of the driver suffering a ‘medical episode’. The passengers may have received all kinds of injuries, including whiplash and thus, their case may have one of the 1,500 daily whiplash claims in 2017. If you were a passenger on a bus that was involved in an accident, and you suffered whiplash, you may be able to claim. If you were a passenger in a car that was involved in an accident, you may be able to claim compensation for whiplash, along with other injuries. The team at Accident Claims will be able to help you as part of our free fact-finding consultancy session – why not give us a call? With all this discussion and debate about fraudulent and exaggerated whiplash claims payouts, it can be off-putting to some people who want to make a claim. Whether you make a claim is dependent on two things, the first being whether you have an entitlement to claim. And that means looking at who was liable for the accident. Secondly, it is your choice whether to claim or not. But the law, as it stands is quite clear: if you have been hurt, and it was not your fault you are entitled to make a claim. It may be that your whiplash injury is a short-term one, but it is still painful and uncomfortable. Or, it may be an injury that hangs around for weeks, even months. And if you are unable to work, or there are other issues that you have to deal with as a result, it may be that a whiplash claim payout is the only way forward for you. Compensation payouts are comprised of different sections which is why the whiplash claims average payout in 2017 varied from case to case. General damages – is the ‘non-economic’ part of the compensation payment and effectively covers your injury or injuries, along with other considerations such as severity, the longevity of the injury and how well you are expected to recover. It also covers the emotional impact or distress caused by the accident and resulting injuries. Care claim – whiplash can be incredibly debilitating, especially in severe cases. Managing around the house, including personal care can be difficult and this part of the whiplash claims payout covers care at home you may have had to pay for. Loss of earnings – it may be that you have sustained a loss of income as a result of being unable to work and this too can be recouped as part of your whiplash claim. Travel Expenses – driving can be nigh on impossible when you can’t turn your head as a result of whiplash injury! Thus, when it comes to attending appointments, travel expenses can be significant. It may be possible to claim these travel expenses as part of your claim. Medical Expenses – although most medical treatment is free at the point of access with the NHS, but it may be that you didn’t want to wait months for an appointment. If you paid for some of your treatment, you may be able to claim these back. Whiplash is caused when the body faces an impact, especially the upper body. Whiplash affects the neck and is as a direct result of the head, the heaviest part of the body, snapping backwards and/or forwards in quick succession. The spine in the neck is naturally curved but during an impact, the spine is forced straight leading to damage to tendons, ligaments or muscles. The result is pain, discomfort, pins and needles in the neck which sometimes stretch down the arms to the fingertips, as well as headaches. Some people also suffer from nausea and generally feeling very unwell and uncomfortable. This sudden jerking of the head backwards and forwards is commonly associated with road traffic collisions, especially rear-shunt accidents. When vehicles collide, the impact can cause the driver and passengers to be ‘shunted’ forward in their seats, resulting in the head jerking forward in a quick, ‘snapping’ movement. But whiplash is not just a result of road traffic accidents. People who have suffered a fall can also suffer whiplash, alongside concussions and other injuries. Symptoms of whiplash can start immediately but there are many cases in which the victim will only start to notice symptoms after a few hours, once the shock of being involved in an accident has worn off. Many people find that the symptoms, especially the pain and tenderness dissipate after a few days, but other people suffer the effects of whiplash for a lot longer. On one hand, we read a lot about fraudulent and exaggerated whiplash compensation claims. What we don’t read about is that pain and discomfort that people with a genuine whiplash injury can suffer. The underlying issue with whiplash is the difficulty in assessing the severity of the injury and also how long the injury will impact on you. In most cases, a claimant will be required to undergo a medical examination. This is to assess the injury and determine what further treatment may be needed, as well as what future impact the injury could have on you. There is provision within compensation for what is called a ‘nuisance injury’. This covers instances such as niggling pain or having to take time off work to attend physio to further aid the healing process. But, the good news is that this medical examination will be carried out at a venue close to your home and there is no cost to you. It is an important part of whiplash claims and how much compensation is due to you. Generally speaking, you will be awarded more compensation for your whiplash injury if it is a longer-term injury. Clearly, the more severe it is, the more compensation you will receive. Don’t forget that you will also receive compensation should you incur financial losses, such as loss of income and so on. The range and severity of neck injuries are many and varied but as this compensation table shows, there is a range of compensation amounts to cover all kinds of neck injuries, including whiplash. Severe £112,750 - £42,550 The upper end of the scale will mean that the neck injury also affects the upper spine, resulting in paralysis for the higher payment. Severe neck injury may also mean headaches, severe soft tissue damage leading to a chronic, long-term condition. Moderate £29,250 - £6,000 At the top end of this scale, the neck injury may have resulted in impaired neck function, as well as significant discomfort. It may also mean that the claimant is vulnerable to ‘further trauma’, that is injury, to the affected area in the future. Minor A few hundred pounds to £6,000 This is the bracket in which most whiplash compensation claims fall. It acknowledges the pain and discomfort, the temporary, short-term inability to move the head or neck but that full recovery is expected within 3 months. The whiplash claims calculator is a handy online tool provided by Accident Claims that helps a claimant to initially assess what compensation amount could be owed to them. Don’t forget, however, that you may receive more if you also claim for other injuries as a result of your accident. This why it is difficult to put a figure on whiplash claims average payout as each case is different. Whiplash injury claims may be under the spotlight but if you have been hurt in an accident, you can claim compensation for a neck injury. But many people are put off from making whiplash claims in the UK due to the perceived financial risk – lose your case, and you are faced with heavy legal costs. But not with Accident Claims! We provide a genuine 100% no win, no fee whiplash claims service. Unlike some other companies, we ensure that our expert panel of personal injury solicitors offer a Conditional Fee Agreement that really means you are not liable for any legal costs should you lose your claim for whiplash compensation. In other words, there is no financial gamble when you come to us at Accident Claims. Recommended – previous claimants rate our services highly. As well as a super service when it comes to managing your claim, people also talk about our 24-hour, 7 days a week helpline as well as online chat facility for staying in touch with us about everything to do with their claim. Trusted – with over 40 years of experience, we can be trusted to understand your claim and do our best to resolve it so that you can use the compensation you need to fuel your recovery. Experienced – with a deep insight into compensation for all injuries, we understand how difficult some cases can be. We have the experience to move your claim forwards, in the right direction. Genuine – as a company, we are known for offering high-quality support with integrity that means you have all the information you need to make the right decision for you. Our ethos – it is plain and simple: YOU are at the core of everything we do. Ready to start your claim? Need more information? Have a question you need answering? There is no one better to call to discuss your claim and because we have the facilities to be here for your every hour of the day, you can contact us at your convenience. But don’t hesitate. There is no obligation to continue with a claim and our advice won’t cost you anything. Pick up the phone and call our expert team now on 0800 073 8801. Or why not log on and use our online chat facility? A useful guide to what is whiplash and what you can do to help with the pain and discomfort. Addressing in detail the changes to whiplash and other soft tissue injuries, this is the guide released by the Government about how it could affect your claim.